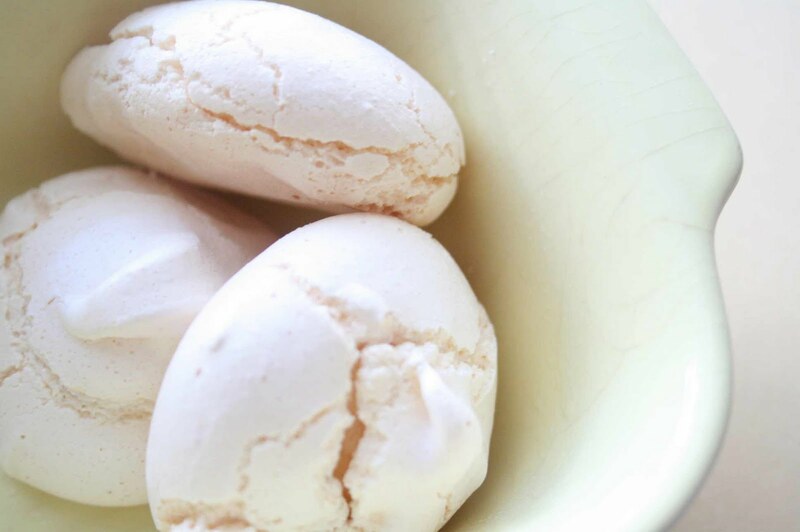 These meringues are super simple to make - this was my first time ever making them and I was delighted at how they turned out. My grandmother used to make them all the time :) Since they can be made ahead and stored in an air-tight container, they are great for any sort of get-together. 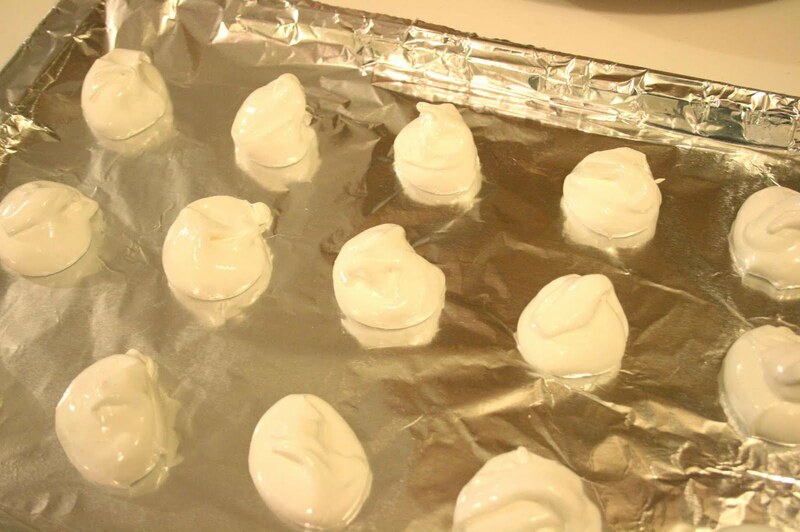 These yummy things can be made especially festive at Christmas by adding food coloring or crushed peppermint on top. Yum! With a minimal amount of ingredients needed, these are great to make for a crowd (or to give as gifts!) because the recipe makes so many. Heat oven to 250 degrees F. Line cookie sheets with foil. In a small bowl, beat the egg whites and cream of tartar with a handmixer until foamy. 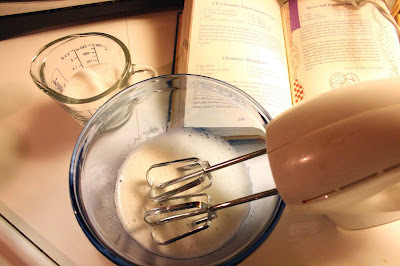 Gradually add sugar, 1 Tbsp. at a time. 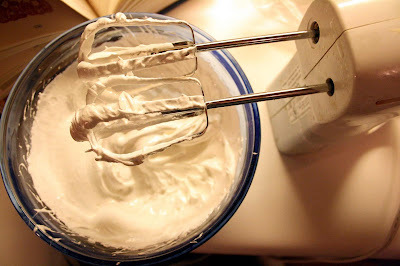 Continue beating about 5-7 minutes or until stiff peaks form. Stir in food coloring, if desired. Spoon 1-inch mounds onto the foil-lined cookie sheets. Sprinkle crushed peppermint on top of each meringue, if desired. Bake at 250 degrees F for 35-40 minutes or until crisp and dry. They will peel right off of the foil and the inside will be a little chewy. Cool completely. Makes about 3 dozen (depending on how big you make them). Enjoy! do you of anybody knows another word for it? Maybe in Dutch of German, French?! 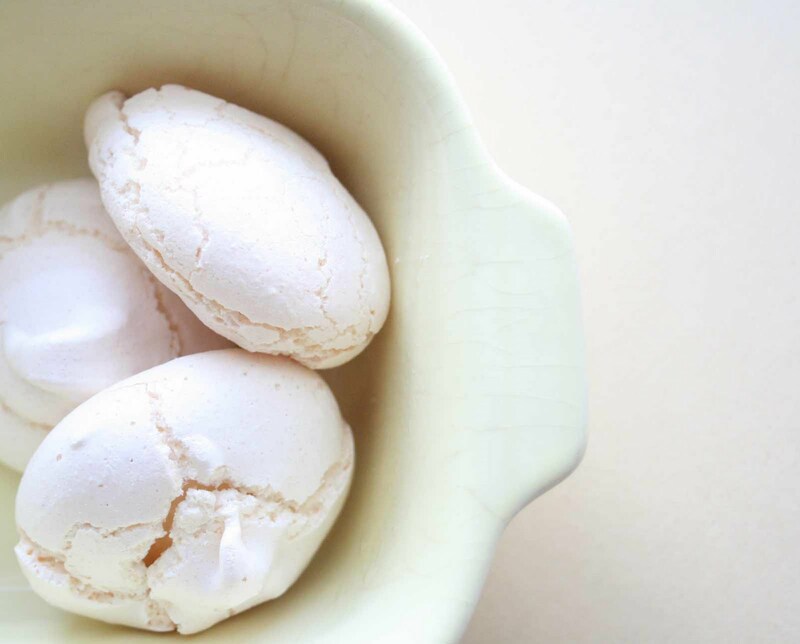 What a simple recipe for meringues! Seems fool-proof enough for someone who's as pastry-challenged as me! Perhaps they'll make neat little gifts for the holidays, too. Oh I'm excited about these. I'm just sad that I don't have a hand mixer until AFTER Christmas. :( I don't know what I'm going to do for gifts without it this year. i love merringues.. i could almost taste the sugary loveliness looking at your post!! i am absolutely gaggin for a pavlova now.